As the 2017 school year commences, the Pennsylvania State System of Higher Education (PASSHE) announces the retirement of chancellor Frank Brogan on Sept. 1, 2017. 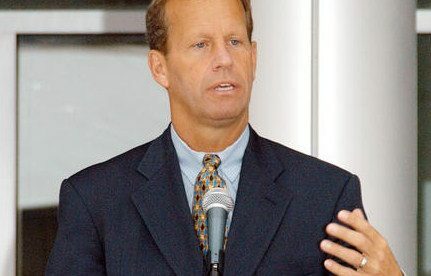 Brogan’s career started in Florida as the President of Florida Atlantic University, chancellor of the Florida State System of Higher Education. Brogan flourished in Florida, increasing funding for the universities costs by $400 million. Not only was Brogan involved with the education system, but also in government as Lieutenant Governor of Florida under Jeb Bush. He resigned as chancellor of Florida and made his way north. He became a chancellor of PASSHE on Oct. 1, 2013. Brogan’s retirement statement was released around the same time as PASSHE released a report done by the non-profit organization National Center for Higher Education Management (NCHEMS). The study conducted cost around $400,000 and made a few proposals. One recommendation from NCHEMS states the leadership of PASSHE is not providing enough direction on policies to the 14 state schools. The board is too large for the quick decision making needed by the organization. Lastly, the 14 state schools are not communicating with one another. The schools seem to be competing with one another as opposed to working closely together according to the report. The report stated there were problems with the organization having enough clarity, no trust and were too confrontational to stakeholders. Throughout the entire system they are short about $72 million, due the enrollment decreases within the PASSHE system in the last six years. Some universities have decreased by 12 percent and others down by 30 percent. To make up for the shortage in the budget, the system will raise tuition prices by 3.5 percent. When PASSHE was established in 1983, the state contributed 66 percent funding for the 14 state schools, which since has dropped 25 percent. Population of high school seniors enrolling in college has also been on the decline as of recent. Due to these drops in enrollment, Governor Tom Wolfe was forced to increase funding 2.5 percent just last year. Costs of tuition are increasing at a more rapid pace than salaries. Chancellor Brogan was not able to provide help to the PASSHE community. “The next chancellor faces a challenge in times of scarce funding. In order for her/him to be successful, she/he must be willing to collaborate with students, faculty and staff across the state system. She/he must be able to establish trust and evaluate each decision in terms of an affordable, high quality education for our students,” Hamill continues. The organization is currently searching for another suitable chancellor to replace Brogan. NCHEMS suggested that with an incoming chancellor, students at all 14 schools throughout the PASSHE should communicate with one another and stay in touch.